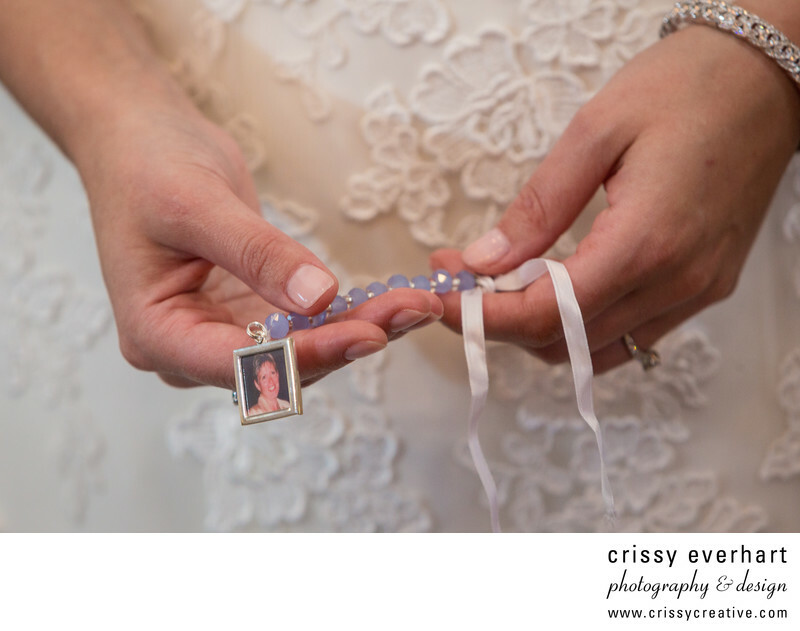 This bride carried her late mother's photo on a blue beaded ribbon that she tied onto her flowers. In this image she holds it in her hands, and the photo is cropped tight so that you only see her hands holding the photo against her wedding dress backdrop. This wedding took place in the fall at the Manor House at Commonwealth, in Horsham, Pennsylvania. Location: 300 Tournament Dr, Horsham, PA 19044.